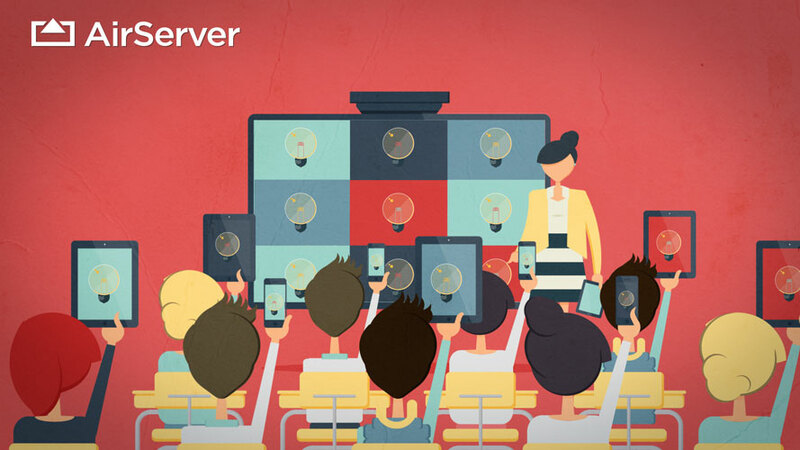 Description: AirServer is an application that allows an iOS (iPad/iPhone) device screen to broadcast on the screen of a Mac, which can then be projected, allowing teachers and students to wirelessly present with an iPad. In order to have the reliability with projecting wirelessly, you should restart your laptop every morning while in the school building. 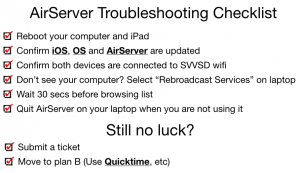 After running your awesome session with students, you must disconnect your iPad properly from Airserver! For more information on how to disconnect properly, check out Featured Support article on AirServer Basic Use below. When not using AirServer in your classroom, quit out of AirServer. This will help everyone!